Description: Astice TAPI Monitor is a software that monitors all TAPI devices connected to the computer. Incoming and outgoing phone calls are recorded. For every phone call the dialed number, the calling party, start and end time are stored. You can easily export the records for further processing. Astice-Tapi-Monitor can be used on a standalone personal computer as well as in a local area network. 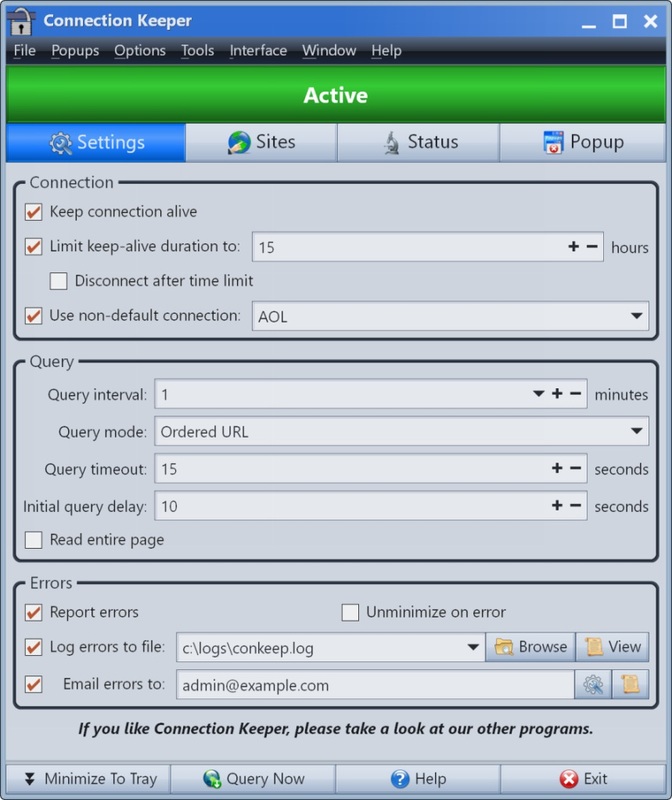 Description: Connection Keeper prevents your Internet connection from appearing idle or inactive while using very little bandwidth and system resources. If a connection is lost, Connection Keeper can automatically dial back in. For those who are plagued by popup windows asking if you wish to remain connected, Connection Keeper can automatically simulate a button click to close them. Description: Internet Access Manager is a nifty utility you can use to schedule and simplify your access to the Internet or to another computer. It is designed to help you make and maintain Internet connection with as little fuss as possible. It has flexible time scheduler to establish an active connection at the designated time. Online statistic monitor helps you to keep track of how much time you are spending. Holder of passive connection is available. 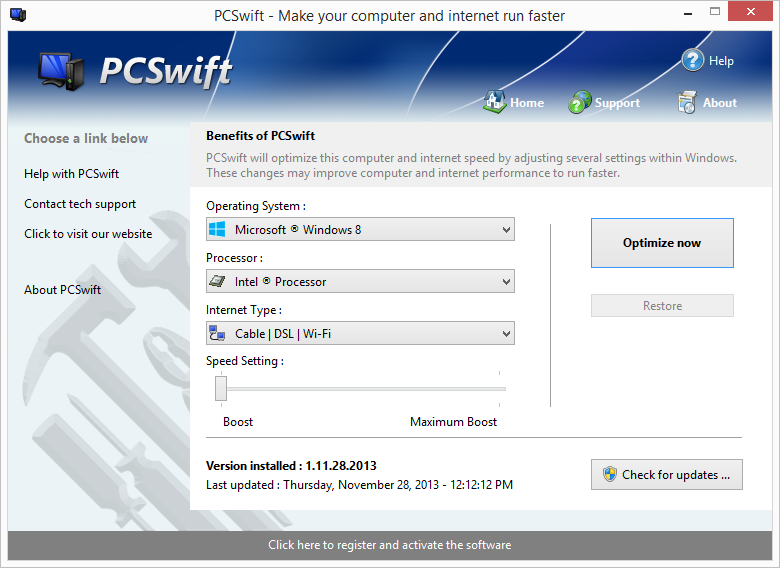 Description: PCSwift sets the standard for PC and internet optimization software. A combination of our two products PCSwift and Throttle; PCSwift instantly makes your computer faster and fixes common problems associated with frustrating slowdowns and errors and squeezes out every last bit of performance your computer and internet connection is capable of. 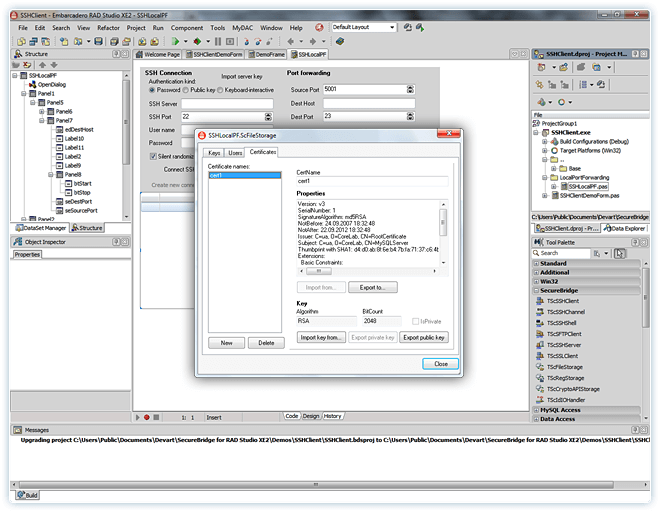 Description: Radius Manager is a easy-to-use administration and billing solution for Mikrotik Routers, Wireless Acces Points and Dialup systems. With a help of a centralized accounting system (which is provided by a Radius server) the user management for ISP's with more than one Wireless Access Points (AP) becomes a simple task. It can be used for Dialup systems too. It provides traffic limitation, bandwidth shaping, uptime limits and account epiration date. Description: SecureBridge represents clients and servers for SSH, SFTP and SSL protocols as a network security solution. It can protect any TCP traffic using SSH or SSL secure transport layer protocols to provide authentication for client. It is a solution for developing applications using various IDEs as RAD Studio, Delphi, C++Builder, Lazarus (FPC) on Windows, Mac OS X, iOS, Linux, FreeBSD. Description: Worlds first mobile hotspot app for Android that can control bandwidth of your users. It redirects users to login, signup or like your page, while controlling their download & upload speed, session time or allowed bandwidth quota.Share your 3G, 4G or USB Internet connection to WiFi devices like smartphones, tablets, laptops. Allow everyone to connect to your SSID without password, and then automatically redirect them to your splash page: to log. Description: Freeware tool that makes sure your ISP won't drop your internet connection. StayON continually connects to servers to keep you from being kicked off from your ISP due inactivity. Its easy to use an small tool that uses a minimum of RAM memory. Have you ever been disconnected while reading or writing email, reading newsgroups, or downloading a file? Don't let this happen to you. Avoid ISP disconnections. Its freeware! Easy and Small! Description: Throttle instantly upgrades your computer and modem to download files faster, browse the web faster and play games without lag. If you are tired of browsing the web taking forever to load or you want to download large files faster, Throttle can instantly increase the speed of your internet. 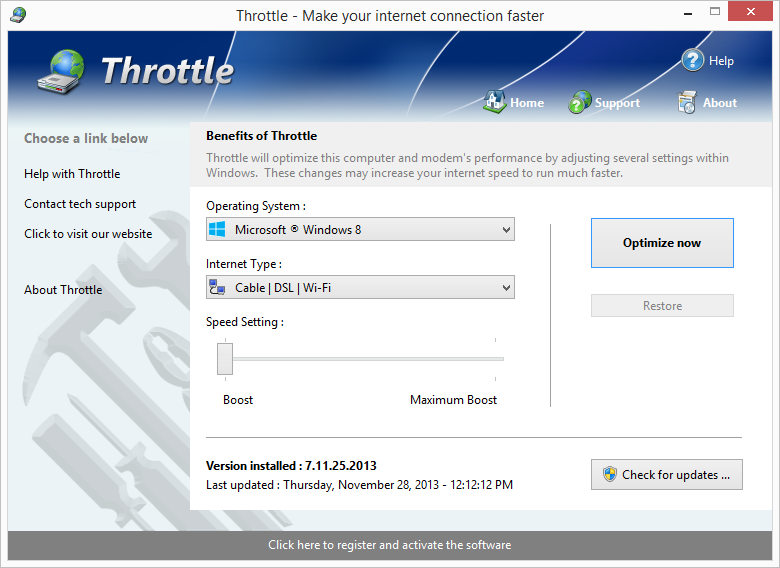 Throttle is one of the best internet acceleration software products and works with Cable, DSL, U-Verse, Fios, dial-up, satellite and mobile internet.